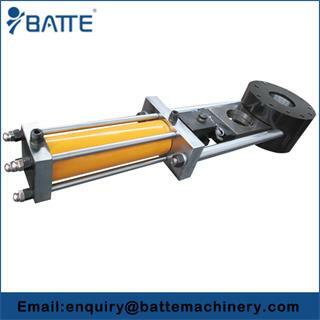 screen changer for recycling processes applications, screen changer technic - Batte Machinery Zhengzhou Co,.Ltd. 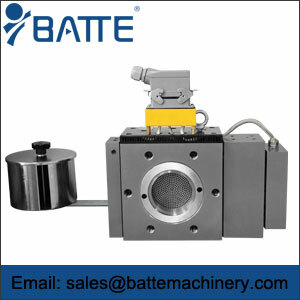 Batte extrusion screen changers for melt recycling process represent the most technically advanced design of slide plate type screen changers. 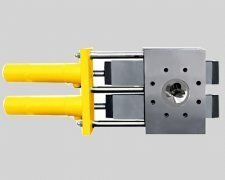 The extrusion screen changers suitable for processing a wide variety of thermoplastics on applications ranging from sophisticated multiple layer thin film extrusion to the heavy demands of recycling through the melt extrusion recycling process. 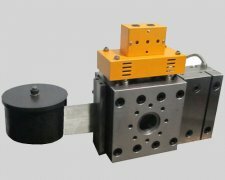 Screen packs of the screen changer for extrusion process is to build up pressure in the extruder and filter out contaminants and also to pressure in extruders . Screen packs help mixing and is particularly useful if screw speed is high and the residence time of polymer melt in the extruder is not very long. 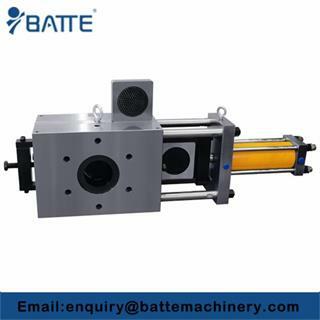 Do you know how to selecte screen changers for your extrusion line, here we will compare continuous and discontinuous screen changer for you. 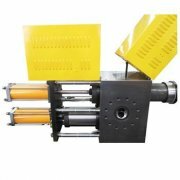 This Two channel polymer screen exchange filter is designed to work with two channels inside. 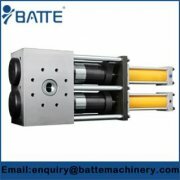 For filtration of most all polymers without interrupting production during a screen change. 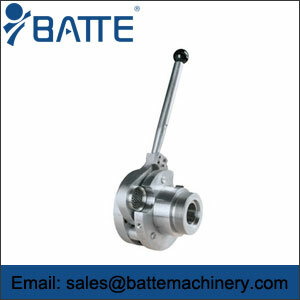 thus in the screen changer for recycling processes the replacement without machine halt is ensured and no interrupt of material fluid and of production will occur. 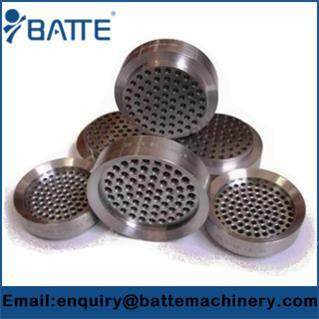 The recycled plastic screen changer also be called melt filter screen changer.It is four-screen recycling screen changer,which ensures the screen changing without machine halt or production interrupt.